Here we have CARLITOS924's whip. 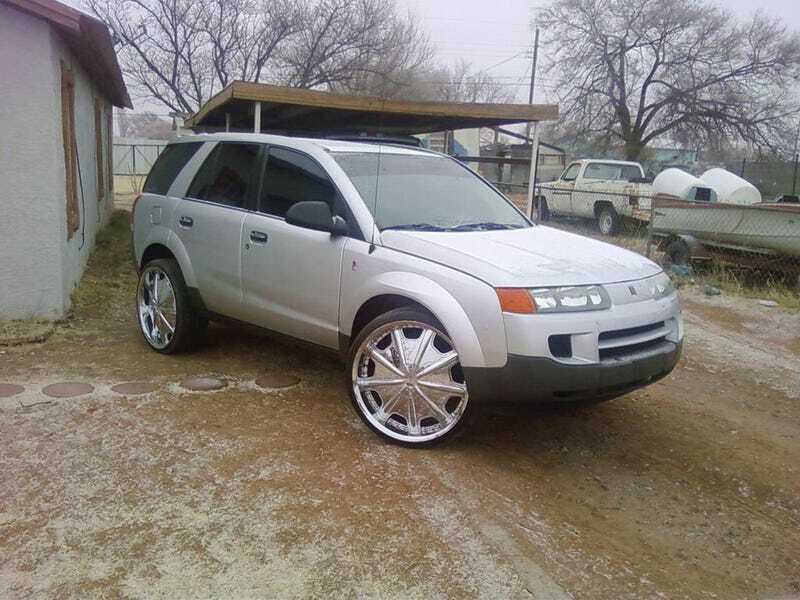 A Saturn VUE may not be ballin in its stock form, or even on the 20s he previously had. Now that he's runnin' 24s. At such a young age, I can't help to think that he's the baddest thug in Hobbs, NM. He is not to be fucked with. 24'' STRONG KILLIN ALL U LIL NI**AS!! ..THREW DEM 4'S ON FOR THE HATERS THAT SAID IT COULDN'T BE DONE. THEY SAID THEY WOULDN'T FIT, BUT THEY LIERS!! Say what you want, he made them fit. As for in car entertainment? Go 7" or go home. I would hate to run into CARLITOS924, he sounds absolutely terrifying.